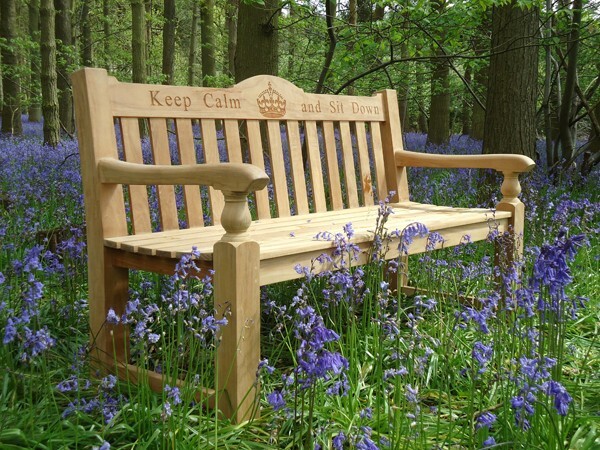 The Regent bench is made from FSC (Forest Stewardship Council) certified teak. 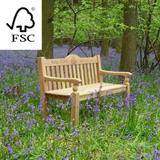 FSC certificate means that timber is tracked along the supply chain from the forest to the shelf, great care is always taken to select teak from responsibly managed forests. The Regent FSC certified teak bench is a traditionally designed bench with a unique decorative top rail, sculptured arms. This is a strong bench suitable for public places with a chunky leg profile. 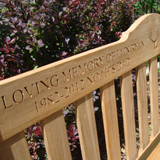 Wood engraving is available on maximum two lines. The curved top rail is perfect to wood engraving with large deep cut lettering.